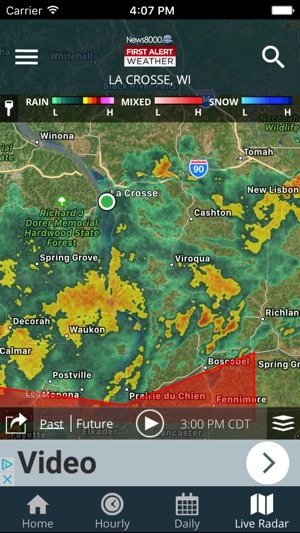 News8000.com and WKBT StormTeam 8 deliver the latest weather and alerts for La Crosse, Wisconsin and your location. 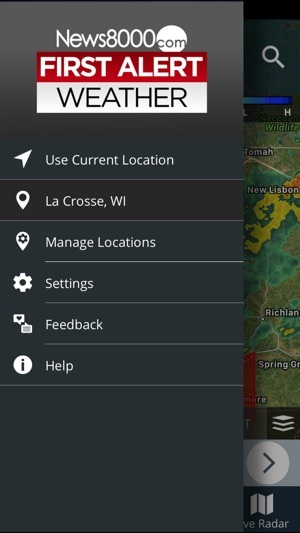 Access your First Alert forecast, live radar, school closings, video forecast, weather alerts, and more! Not only do I get the latest weather information from the best weather team in town, but they post video updates as the weather is changing! 5 stars! 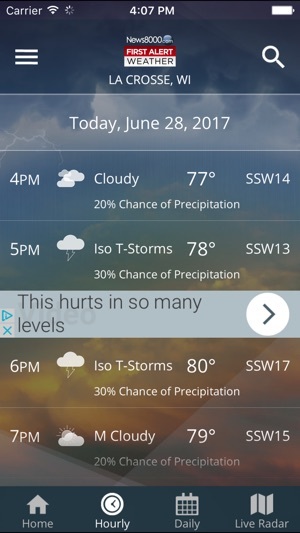 I like this app, they give video weather alerts and notifications. My only complaint is, sometimes it freezes when you try to go into it. 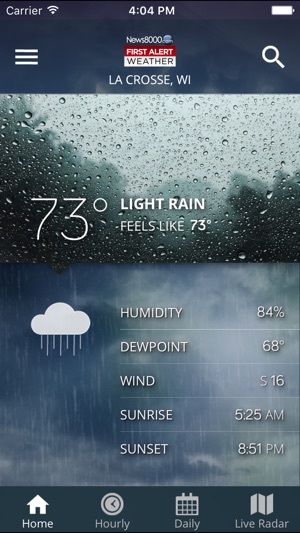 I'm very excited to see news 8000 Come up with such an original weather app. I can't wait to use all of its unique features. 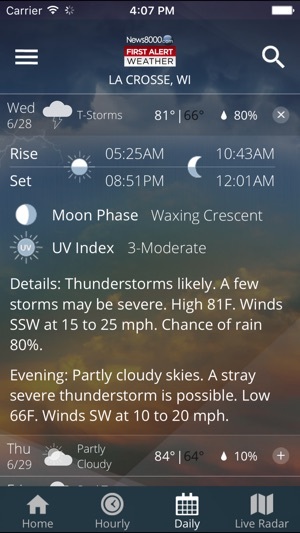 Oh it's a clone on news 19 weather app. Same ads all over, same radar, same lackluster features. 2 stars, well I have to give credit for not using news 19's videos also.